The Super Bowl is the biggest entertainment event of the year, and that means the fun extends far beyond MetLife Stadium this Sunday. Even if you’re not a lifelong fan of the Broncos or Seahawks – heck, even if you’re more into videogames than football – there may be something Super Bowl-related for you to enjoy. Here’s what Xbox will be up to this weekend, no ticket required. Super Bowl Boulevard – Xbox has taken up residence on the most famous street in the nation. Drop on by to play games, enter sweepstakes, or take a selfie with a very special Xbox One console. Look for the Xbox tents on Broadway between 36th & 37th St. Open Wednesday through Saturday, Noon-11pm, free! If you’re an Uber user in Manhattan, pay extra attention when booking a trip in the days leading up to the Super Bowl. If you hop in one of our luxury Xbox One SUVs, not only will you get a short free ride, you’ll also get a prize giveaway, with the chance to receive the grand prize of two tickets to Sunday’s Super Bowl XLVIII!. Look for the Xbox One option within the app this Thursday, Friday, and Saturday evening, and see all the details over on Xbox Wire. If you’re not in New York, fire up the NFL App on your Xbox One to participate in the final round of the NFL Playoff Faceoff. New Super Bowl-related questions await your prediction – don’t miss your chance to earn these special Achievements and to enter for a chance to win tickets to the *next* Super Bowl. 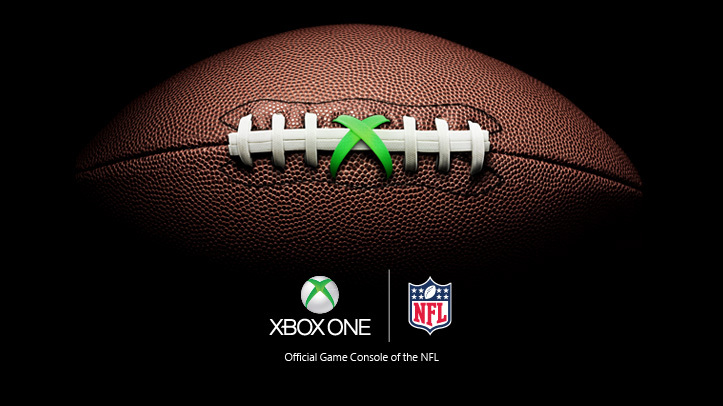 Additionally, look for Xbox at the Madden Bowl, on NFL Honors, and on NFL Fan Pass. Wherever you are, get the 7-layer dip ready and have a great Super Bowl!